Better carbon regeneration in these Nutec Bickley kilns results in both improved gold recovery and higher recovery process rates. Nutec Bickley rotary kilns for carbon regeneration offer a very efficient way to clean activated carbon so that it can be reused. The kiln is based on the successful GFC design already used throughout the gold mining industry. 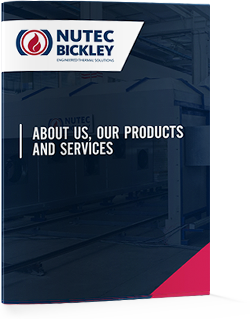 Nutec Bickley rotary kilns for carbon regeneration are furnished with a complete control system which will permit kiln operators to regulate all of the kiln parameters, such as carbon feed rate, process temperatures, steam flows, kiln pressure etc. These kilns can be monitored remotely and Industry 4.0 trend monitoring can be incorporated. With our SCADA systems, kiln operators are able to have complete control of their firing process, enhancing efficiency and productivity. Our latest Industry 4.0 developments integrate state-of-the-art technology to not only monitor the process, but also to keep the kiln operating at peak performance with smart maintenance technology. All the data generated during the firing process is stored in our SCADA system, which is then used to generate reports, graphs and intelligence data, to help customers in their decision making process.